The West Coast Toyota Finance Department is committed to helping you get the best financing for the new or used car of your dreams. Whether you’re looking for a new, certified pre-owned, or used vehicle, we have a variety of options for you to get the financing you need. Getting an auto loan in the Long Beach area has never been easier! Start the application process from the comfort of your own home by completing our secure online credit application form. We will contact you with additional information about your car loan or lease as soon as we have reviewed your application. If you are still undecided about whether you want to finance or lease your new car, we can help! Come in today to speak with an expert about the best options for your next vehicle. 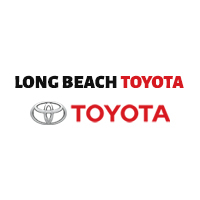 If you’re looking for a new car in the Long Beach area, be sure to stop by West Coast Toyota! Please contact us with any questions by using the button below or calling 562-733-5745.